Every few weeks after a Modern Nexus metagame update, I start to get a little restless. I spend nights prowling sites like mtgtop8 trying to form my own metagame picture. Even if local metagames are slow to change, and those are the ones I play in the most thanks to their ubiquity, I always like tuning and updating my decks to beat the overall Modern metagame as reflected by high-profile events. Seven days ago, the Star City Games Atlanta Invitational tournament (and the SCG Classic two days later) gave us some much-needed datapoints. Trevor dropped in yesterday to tell us how sweet Anger of the Gods is right now. For my part, I’ll focus on the successful decks I found the most interesting. A lot of these results had me alternately raising my eyebrows and nodding in approval. Dredge might have taken the Classic, but Modern still looks fantastic. This article looks at a couple brews as well as some key updates to classic strategies. Anger of the Gods had a great showing this past week, no doubt. But Path to Exile is the standout major player here for me. GW Tron, the only listed UrzaTron deck in either tournament, got 2nd in the Classic. Going forward, the Tron with Path to Exile definitely seems like the best one to me. The tempo loss of giving opponents an extra land is laughable when assembling all three Tron lands gives players a functional four extra lands. White also gives Tron access to Rest in Peace, a card that walks all over Dredge when it sticks. Another big draw to the splash is Blessed Alliance, which Max Olszac ran three of in his 2nd-place list’s sideboard. Alliance helps survive against aggressive decks by gaining life, and punishes pump decks for going all-in on one creature with its non-targeting sacrifice mode. The card’s third mode doesn’t seem very useful in this deck, although untapping fatties to block a racing deck while forcing opponents to sacrifice another attacker is probably devastating when it comes up. Either way, the other two modes are so powerful in Modern specifically that Alliance is likely to be a staple in slower decks for years to come. That it’s on-color with Path to Exile only helps its case. One of my eyebrow-raising moments came when I realized there were a bunch of Restoration Angels in the Classic’s Top 16. Restoration Angel is a card that’s always had the makings of a Modern playable—it resists Lightning Bolt and Abrupt Decay with its four CMC and toughness, doubles as a removal spell against aggro decks with flash, clocks respectably in the air, and offers value with 187 abilities like Snapcaster Mages. But four mana is still a heck of a lot, and Modern’s been fast enough lately that we haven’t seen much of Restoration Angel. Atlanta’s duelists made sure we hadn’t heard the last of her. Steve Wilson made it all the way to 4th place with Jeskai Flash, a deck that has existed in some capacity since Innistrad but never been so strong. The difference-maker is Spell Queller, who acts as a flying, three-mana Thought-Knot Seer in a lot of matchups, trading some power for a tempo advantage. Queller lets opponents spend mana on their spells before countering them, helping Wilson catch up on the tempo sacrificed by running so many three- and four-drops. I’m also happy to see Serum Visions make an appearance. A couple years ago, we rarely saw the card featured in Celestial Colonnade decks. Players seemed convinced Visions was too bad to play. Just as Treasure Cruise is no Ancestral Recall but broken regardless, Serum Visions isn’t Ponder, but looking at three cards for one mana is still an awesome rate. The coolest choice Wilson made with his deck is the pair of Negates. Negate is a card so inefficient it’s frequently cast as a sideboard option, but we very rarely see it make the main 60. I guess the ol’ Cruise-Recall comparison applies here, too; we don’t have Counterspell, but Negate will do in many scenarios. Wilson notably has Bolt, Path, and Helix in these colors (as well as Blessed Alliance! ), meaning noncreature spells are the ones he’s most concerned about interacting with on the stack. The biggest difference is Johnson’s abandoning of Chalice of the Void and Simian Spirit Guide. This choice grants him Lightning Bolt and Path to Exile, the format’s two best removal spells, and improves his big mana matchups. RG Valakut, for instance, could care less about a Chalice (and often runs its own somewhere in the 75). Path to Exile on a precious Titan is much more threatening. Another change is the introduction of the Kiki-Jiki combo. Even though it’s a turn slower, having access to an oops-I-win against decks like Tron and Chord that can stabilize boards beyond repair is a great boon in certain matchups. Temur Battle Rage, Cathartic Reunion, Become Immense, Blossoming Defense. All relative Modern newcomers that have created or greatly benefited linear aggro decks. Death’s Shadow Aggro and UR Kiln Fiend were not strategies last year, and Infect was practically nowhere. It’s no wonder a one-mana, catch-all removal spell is gaining steam in Modern. Or that Spell Pierce is finally getting the play it deserves. The format changes made to accommodate this shift can be seen outside of just cards. Jund in particular has undergone a serious, if subtle, transformation over the last couple of months. Dark Confidant and Tarmogoyf have always headlined the deck’s threat suite, flanked by some number of Scavenging Ooze. But the rest of the creatures have been up in the air since the Bloodbraid Elf and Deathrite Shaman bans. Kitchen Finks, Kalitas, Fulminator Mage, Tasigur, Huntmaster of the Fells, and Olivia Voldaren have all been commonly featured in the deck at some point. All of those creatures cost more than two mana, making them sub-optimal for a faster metagame. As of Eldritch Moon, Jund has access to a fourth efficient two-drop. Grim Flayer offers Jund more than just an attractive option for curving—when it connects, Jund gets to “gravescry” 3, ensuring a never-ending stream of gas. When you need to continually dig for answers while aggressing your linear opponent, getting a free Serum Visions every turn is just what the doctor ordered. BGx has never had access to card selection, instead getting by on the sheer power of its cards. With Flayer in the mix, the deck gets much better. Two of the three Top 16 Jund decks ran three Grim Flayer in the mainboard, as did Todd Anderson in his 7-1 list from the Invitational. I think Flayer will join Confidant, Goyf, and Scooze as a staple Jund creature and further fill out the deck’s core. With Jund out of the way, we can focus on some of the less conventional decks from Atlanta. Ever since its inception, Modern has been especially hostile to certain strategies. Tribal creature strategies are among them, with Merfolk providing a crucial exception to the rule. Amazingly, both UB Faeries and Slivers cracked the Classic’s Top 16. Justin Parente relies on Collective Brutality to handle early aggression and otherwise ports the terrifying Extended Faeries deck of yore to Modern. All I can say is I hate to imagine what a set of Wild Nacatls does to this deck. Spreading Seas seems like a great plan from the board to beat up on big mana strategies like Tron, and it’s nice to see Ravenous Trap get some love in Modern. Trap strikes me as a great option for decks that don’t present a lot of pressure, aren’t in white, and are willing to dedicate two sideboard slots to beating Dredge. It competes with Grafdigger’s Cage and Tormod’s Crypt for slots, but is notably the hardest of the three for Dredge to actually interact with. The most impressive deck of the week has to be Bradley George’s. There’s a lot going on here that I don’t really understand (when does Sliver Hivelord come in? Against Terminate decks? ), but also a lot to love that I can wrap my head around. George’s manabase is the first big draw to this deck; he’s constructed it in a way that he takes hardly any damage from his lands, but can still cast his Slivers consistently. Aether Vial and Collected Company also help on this front. All the colorless-producing lands even enable Warping Wail from the sideboard, which no doubt helps against Wrath of God, Damnation, and, of course, Anger of the Gods. Understanding the importance of interaction in this metagame, George also opted for a pair of Dismember. I lauded Dismember last week as a powerful, splashable card in colors that don’t generally have access to efficient removal. Rather than cripple his manabase with a white splash, George called on the classic Phyrexian creature-killer, which can even be hardcast in this deck. Close inspection of the creature suite, especially when considering the sideboard, reveals that George truly has answers for everything in his deck. It’s just a matter of finding the right ones. He’s only included a single copy of Homing Sliver in the 75, though, so tracking them down can’t be that difficult. Yeah, so do I. Valakut decks put zero pilots into the Classic’s Top 16, but the Invitational saw one player go 7-1 with Modern’s original Primeval Titan deck: Amulet Bloom. Er, Amulet… Titan. Incredibly, the deck looks almost identical to its original, now-banned form. Azusa takes the place of the extra Blooms, and some of the midrange fatties make their way from sideboard to mainboard. This build notably abandons the Hive Mind package entirely. There have been a few iterations of Bloomless Titan running around since the Summer Bloom ban, and Magalhaes continues their tradition of packing Sakura-Tribe Scout as a recurring Explore effect alongside Azusa. I have a feeling Magalhaes was on to something with this deck, and we’ll see more Bloomless Titan lists start to crop up in the future. Watching Modern coverage and hanging out on forums can be headache-inducing. Doomsaying is alive and well. But all the decks explored today—except for Bloomless Titan—are of the interactive variety. That isn’t to say there aren’t plenty of linear decks in Modern. But there are many avenues yet to be explored when it comes to interacting. As the format shifts, more avenues open up and others close. 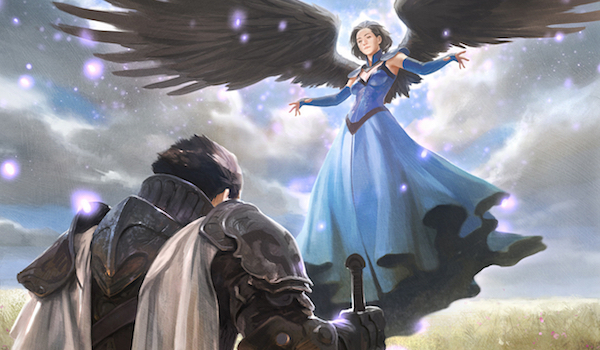 In any case, the format remains a smashing success according to Wizards’ parameters, with a now enormous roster of playable decks to its name. Restoration Angel today, Mayor of Avabruck tomorrow… a guy can dream! Lots of spicy decks to choose from, it seems. Being a fan of tribal strategies, I think the one that catches my eye the most is the Sliver deck, though I think the deck is more of a promising rough draft than a polished end product (the mainboard should be focusing more on fast kills using Lord effects and Collected Company into Blur Sliver rather than puttering around with Darkheart Sliver and Necrotic Sliver – you’re aggro, build like it). I do also like the point you made regarding Negate in Jeskai Flash, though – sometimes you just have to use the best option available, even if it’s not the objectively best card. On the subject of established decks, I’m surprised that Kalitas isn’t asserting itself more as the choice du jour in Jund given how it interacts with Dredge, but I guess 4 mana really is a lot. The addition of Grim Flayer would really make the deck soft to the same sort of graveyard hate that is commonly featured in sideboards to combat Dredge, though. Flayer at least still does something in the face of graveyard hosers, unlike Tarmogoyf. If opponents spend turn two casting Rest in Peace, Jund can attack with a 2/2 Flayer and start digging towards answers or just more grave-independent gas. I dream about Mayor of Avabruk in modern too! Alas, it was just not meant to be. Never say never! He’s already seen some fringe play in 5-color Human decks. I actually have a decently competitive werewolves deck in modern. It’s definitely not tier one. But it’s fnm level for sure (usually goes 2-2) and it’s not very fine tuned. Basically you just make use of aether vial to allow you to get werewolves without casting any spells. This means they can flip that turn. The deck goes really wide with very few creatures cast. Master of the waves style. Not as consistent or smooth as merfolk, way more reach (4 huntmaster, 4 bolt, a lot of trample.) duskwatch, plus the value from mayor of avabruck and huntmaster allow it to be remarkably sticky and resilient. Turns out the werewolf fog that flips them all is pretty incredible. Went from sideboard to 1 to 2 to 3 mainboard. I’m pretty sure you misread the amulet list. It’s sakura tribe scout, not elder, and you can call it anything but “less vulnerable to bolt”. Even if those would have been Elders, they are pretty much useless in the deck, since you ran max 2 basics (you cannot afford to run more). The reason, why Scouts sees play is, that a turn 1 Scout (if not handled) enables a turn 3 Titan if you have any other form of ramp (be it a Amulet or Azusa). Also, since you are already a bolt able “combo” piece in Azusa, you can just add Scouts as additional threats in there without a cost (Lightning Bolt does not get better, cause it is already good). As for Amulet Bloom, there are some other versions out there, some with Lotus Cobra, some with Retreat to Coralhelm (infinite mana with Scout), Tireless Tracker as additional threat (he gets big really fast + you draw a bunch of cards) or some with whacky set-ups like Explore. Hence, I personally think, that that archetype has still a lot of potential left to explore and build correctly. Thanks, don’t know how I missed this!! I agree that Amulet is under-explored right now. Did I miss something? Was there a Modern Nexus metagame update a few weeks ago? The one in the sideboard I am seeing still says 9/1-9/30.